Bundy’s armed rancher militia taking over a federal building in Oregon seems to have aroused no concrete action from the government, compared to notable standoffs such as Ferguson, where minorities were involved. To the surprise of many, local media also painted a deceptively benevolent picture of the armed group’s hostility. Ammon Bundy and his supporters, numbering anywhere from 15 to 150 marched to protest the jailing of two of their fellow Oregon ranchers accused of 2001 and 2006 arson attacks, Dwight Hammond and his son Steven. Their argument is that the federal government has no authority in local cases, and that the reason for the ranch fires was not illegal and was for farming-related purposes. But the armed group then unexpectedly took over the headquarters of the federal Bureau of Land Management (BLM), 50 miles outside the small town of Burns, in the Masher National Wildlife Refuge. Not many people have been able to get close enough to get an accurate picture of the situation. But the group has been issuing demands and they carry a strongly revolutionary message. It has not ruled out violence to achieve its means. This has, naturally, led to accusations of terrorism by those online who see Bundy’s actions as unlawful, to put it mildly. Those people also believe it is groups like blacks and Muslims who are typically and often unfairly associated with the word. Outrage grew over both a lack of response from the National Guard, as well as the mainstream media’s avoidance of issuing labels where white people are normally concerned. Ferguson was the obvious comparison. We send national guards & military to #Ferguson for protesters & watch on every network but white militia take over a federal building, nah. Owing to the location’s remote nature, the authorities largely acted the same as the journalists and issued warnings for people to stay away from the area. They promised more information to come and the sheriff told US media there would be action by “multiple agencies” in the morning. Meanwhile, the following tweet by news heavyweight ABC then had some questioning their sight. It didn’t take long for the broadcaster to become a target. Go home @ABC, you're drunk. 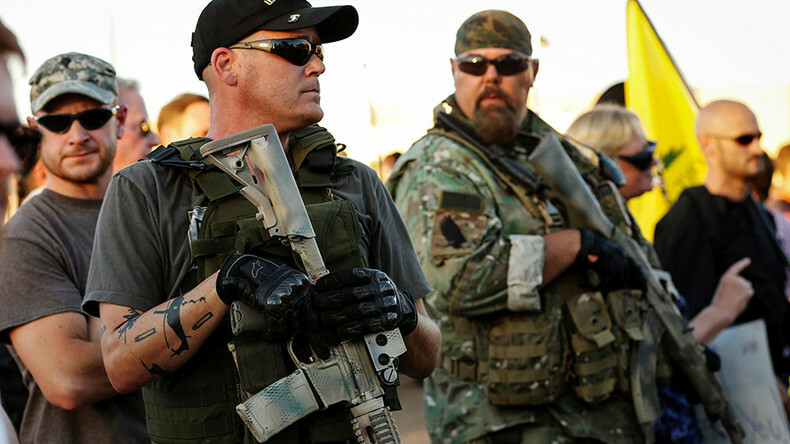 The outrage has been going on since Saturday night, as people gathered under the hashtag #OregonUnderAttack, in dismay over the media’s ignorance of what appeared to be blatantly unlawful use of force. Few media outlets even covered the hostile takeover, people complained.